Being a new yard owner, I am undertaking the long, yet rewarding journey converting the existing contemporary landscape of lawn and non-native ornamental plants into a place more ecologically useful. One of my first tasks was to increase the yard's production of human food (most decidedly not critter food, although some critters have already capitalized on the opportunity). Of all the open lawn real estate in my yard, the west side yard, below, seemed most ideal for a garden with exposure to the afternoon, evening sun. As this area has a fair slope, I decided raised garden beds would help mitigate runoff erosion. The west side yard doubles as a front yard facing the street thanks to a curve. So, aesthetics are, of course, key. A variety of material options and construction methods are available for constructing a raised garden. Rocks or bricks/blocks hold an advantage over lumber by simply not decaying. I, personally, am more comfortable constructing with lumber. 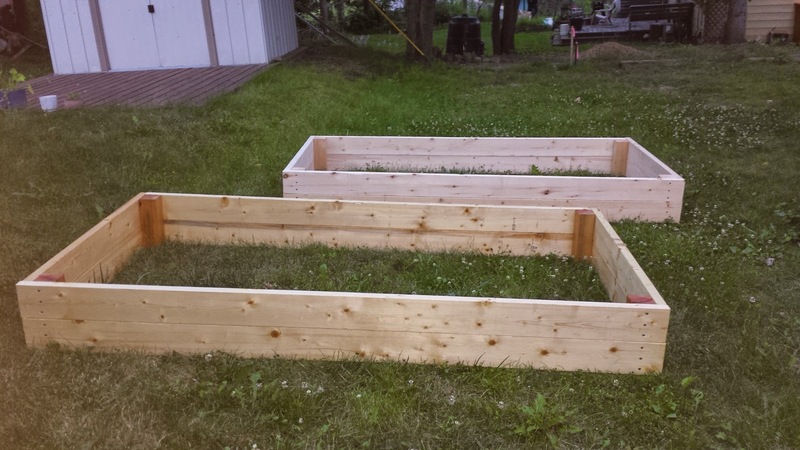 Another material category, treated lumber, is used often in raised gardens. The lumber industry claims that the chemical preservatives used to treat the lumber will only negligibly leak into surrounding soil and that treated lumber is safe for use in raised gardens. 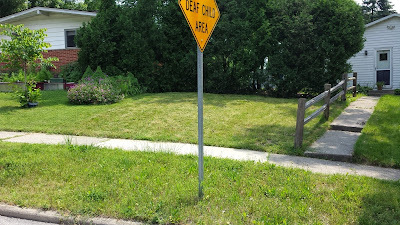 I chose not to trust those claims. I want the vegetables coming out of my garden to be healthy! My initial instinct was to use untreated cedar lumber, with its inherent abilities to withstand biological decay and the corresponding longevity. However, cedar costs about three times as much as untreated pine lumber. Thus, if I wanted, I could rebuild the raised garden bed three times with pine at the same lumber costs as once with cedar. So, I started looking into organic wood preservatives that might lengthen the life of untreated lumber. Local hardware stores carried a few options, but those products seemed to only came in small pricey quantities. 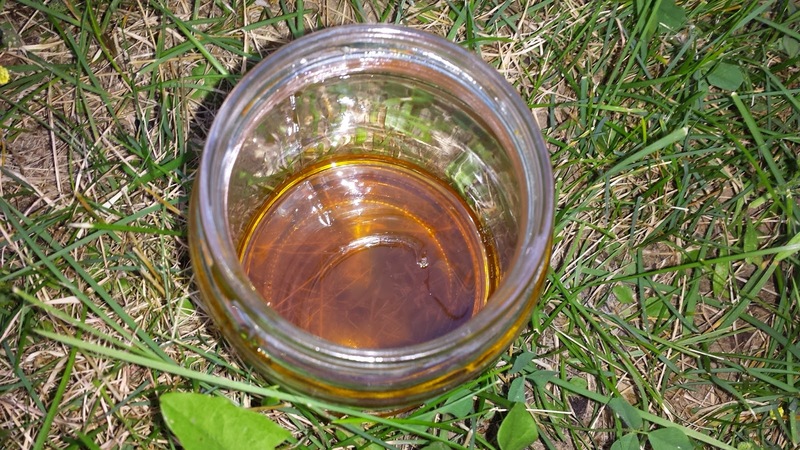 I came across a few mentions online of using linseed oil as a wood preservative. Linseed oil actually comes from flax seeds, which I occasionally eat! 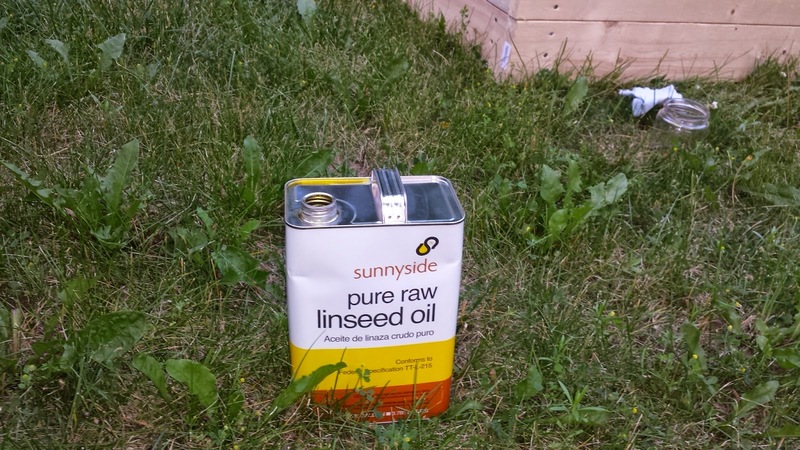 Distinguishing between raw linseed oil and boiled linseed oil, which is on the shelf at most local hardware stores, is critical. "Boiled" actually indicates additives, including petroleum spirits and metallic dryers, which are not organic. 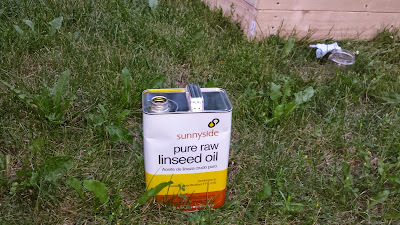 I was unable to find raw linseed oil locally, so I purchased from an online source. I also came across recipes that apparently improve drying and penetration into the lumber. However, these recipes included ingredients that I do not care to eat! 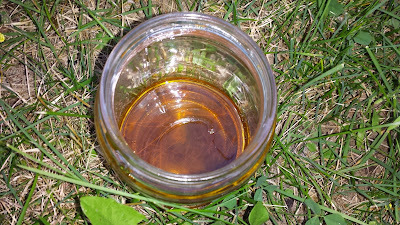 So, I decided to use plain old raw linseed oil as my preservative. Perhaps most importantly to note, oxidation of linseed oil is an exothermic chemical reaction. Rags soaked in linseed oil can spontaneously combust. To avoid this fire hazard, rags and gloves should be stored in closed container and left away from other flammable material. I purchased 2" by 6" White Pine lumber for the face boards and 3" by 3" Cedar for corner framing; for fastening; a box of stainless steel screws. I purchased the lumber and screws from my local Home Depot. 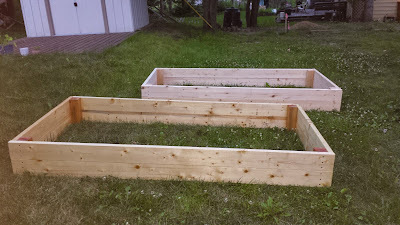 For Phase I of my raised garden bed project, I constructed two 4' by 8' lumber boxes. The closer box has one coat of oil. After allowing a few days for drying, I applied a second coat. I did not apply any linseed oil to the other box. And thus, this is my own personal lumber preservation experiment to see whether the raw linseed oil actually makes a difference in aesthetics and durability. In regards to aesthetics, the above picture shows that applying the oil darkened (or yellowed) the wood and seemed to bring out the grain of the wood. 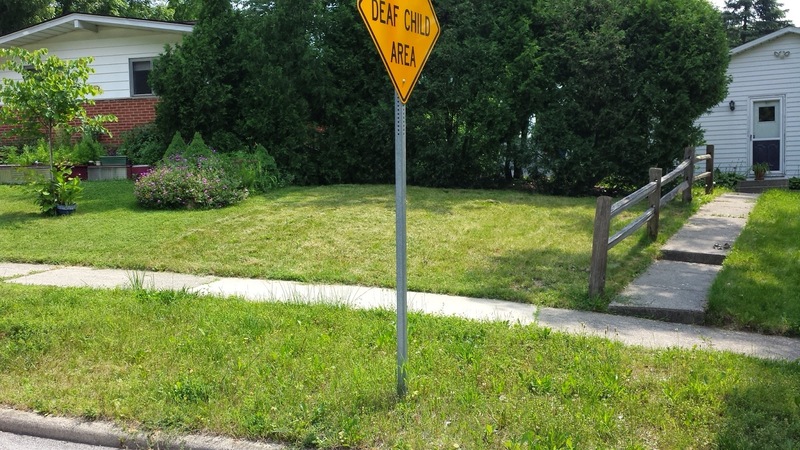 The slope of the side yard is downhill both from left to right and from the shrubs to the sidewalk. 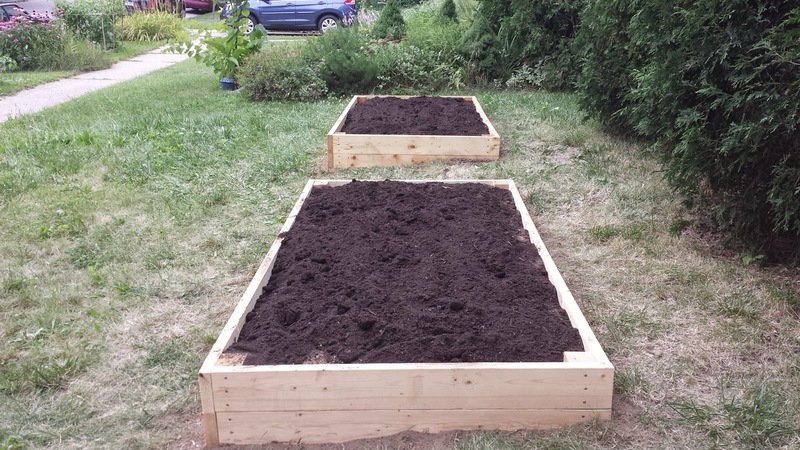 I removed the sod and dug trenches such that the box would sit mostly level in the ground. I used a 4' level tool to double check their level, because looking at the ground and other points of reference was little help. The boards pull a double duty of retaining the garden soil and, being partially buried, act as border edging, blocking lawn grass roots from growing into the garden (potentially reducing weeding maintenance). And finally, I filled the boxes with a cubic yard of compost from the City of Ann Arbor Drop Off Station. Phase I installation, photographed above and below, was completed in late July 2014. The left far box is treated; the right close box, untreated. 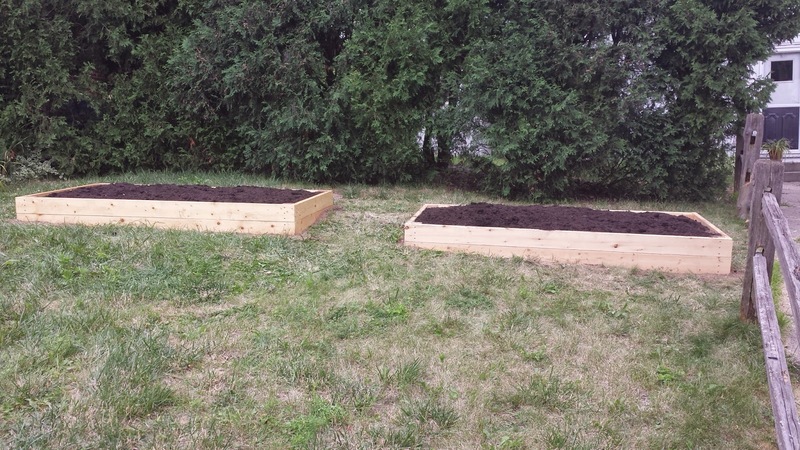 EDIT: Phases II and III of the raised garden bed project are detailed here. A follow up post for the lumber preservation experiment remains in the works.